The Denver Skatepark covers 60,000 square feet in Lower Downtown (LoDo) and is designed for boarders, skaters and BMX bicyclists. 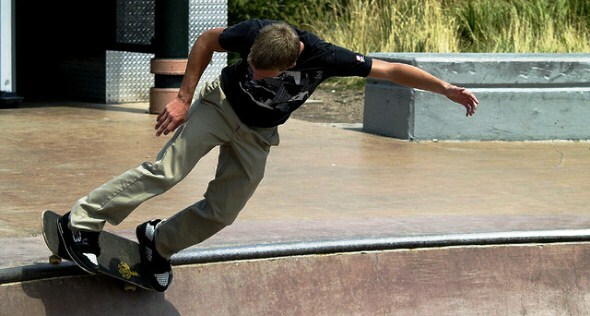 The park, across from Coors Field and offering fabulous views, offers a series of bowls ranging from 3 to nearly 10 feet in depth and a street terrain on which everything is skateable, from banks, stairs and rails to planters, curbs and ledges. It also has a snake run and restrooms. Pegs are not allowed on bicycles. The city-owned park opened in 2003.